Fifth Avenue Art Gallery welcomes Lisa Mistiuk, a Michigan artist, for the month of February 2017. “Child’s Play, a journey into imagination,” will reflect her most recent work. Lisa has studied art from Germany to San Francisco, turning her skills into strong oil paintings with an emphasis on the elements that make up our everyday lives. Lisa will be at the First Friday Opening Reception on Friday, February 3, 2017 and will offer a gallery talk on Saturday, February 4th. Both events are free and open to the public. The exhibit will run from January 31st through February 26th. 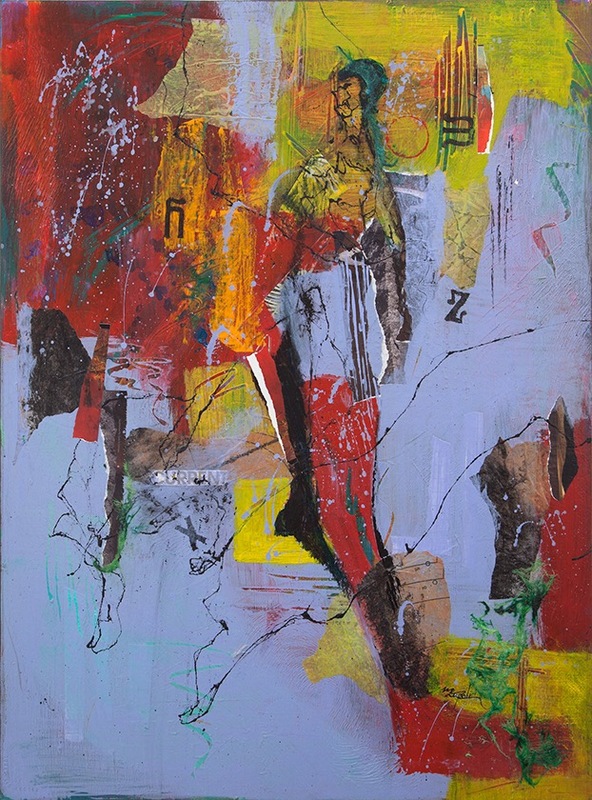 Opening on February 28 at Fifth Avenue Art Gallery, Musings in Color will feature the work of artist Witha Lacuesta. Witha is a member of Fifth Avenue Art Gallery and has been painting for many years. She has studied in Germany and the US. This exhibit will consist of two series. The first, Cypress Tree series, was inspired by a recent excursion to the Blue Cypress Conservation area which serves as headwaters for St. Johns River. The beauty of these century old trees was deeply moving. Having withstood various weather extremes, they stand for persistence, resilience, and grace. They also inspire us to strive for the same attributes when facing adversity or solitude. In contrast, my second series entitled ‘Dancers’ conveys a different mood through the serendipitous use of color and shapes as expressed in dynamic abstract watercolors. The artists of Fifth Avenue Art Gallery will be offering a taste of France at their member exhibit, Inspiration: France, opening on April 4. The First Friday celebration will be on April 7 from 5:30 pm through 8:30 pm. Come and revisit Paris, or kindle a desire to go to France. Experience the wonder of tiny sail boats at a pond side stand, remember Jim Morrison with a visit to Pere-Lachaise Cemetery, or discover the wonder of French graffiti. This exhibit will feature artwork inspired by France from the membership of Fifth Avenue Art Gallery. Mother and son have joined forces to mount this once in a lifetime exhibit, A Family Affair. 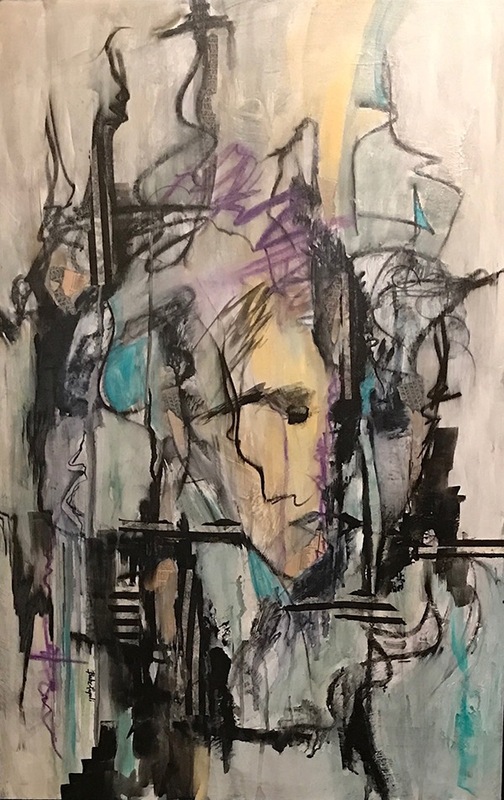 The exhibit will open on May 2 and run through May 28, with a First Friday opening reception on May 5, from 5:30 pm through 8:30 pm where you can meet both artists and hear about their work. Born in Northern Germany, where Gabriele’s mother was a seamstress, she would play around the sewing machine trying to stay out of the way of the treadle. The family immigrated to America and a new way of life. Textiles and sewing didn’t return to Gabriele’s life in a meaningful way until she retired from the early education field. Since then Gabriele’s art quilts have been widely exhibited throughout the United States as well as overseas in England, Ireland and Australia. Both her Art Quilts and her Art Dolls have been published in books and in magazines. 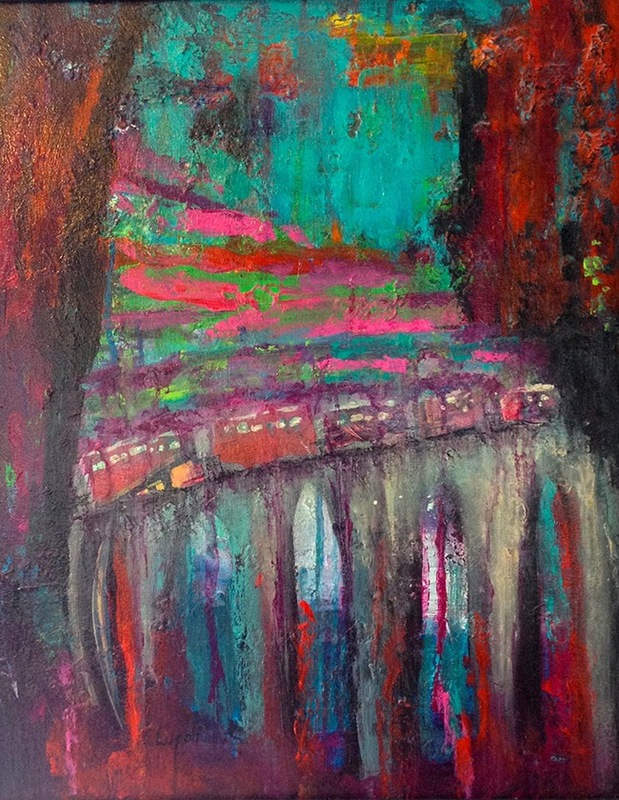 Summer will sizzle at Fifth Avenue Art Gallery with The Stripes Run Through Us, art by Babz Lupoli. This exhibit will open on July 5 and run through July 29. 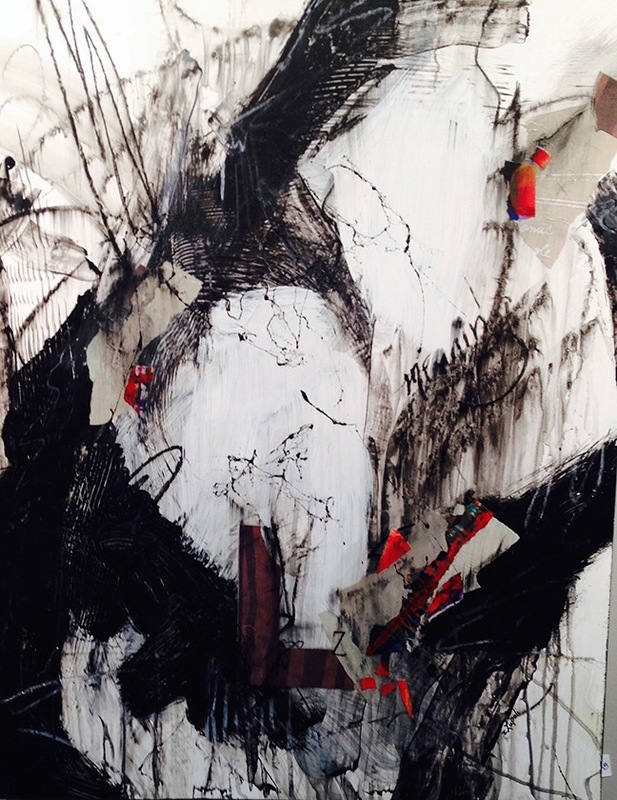 Plan to meet Babz at an opening reception on First Friday, July 7, from 5:30 pm through 8:30 pm. There will be light refreshments available while you chat with the artist. 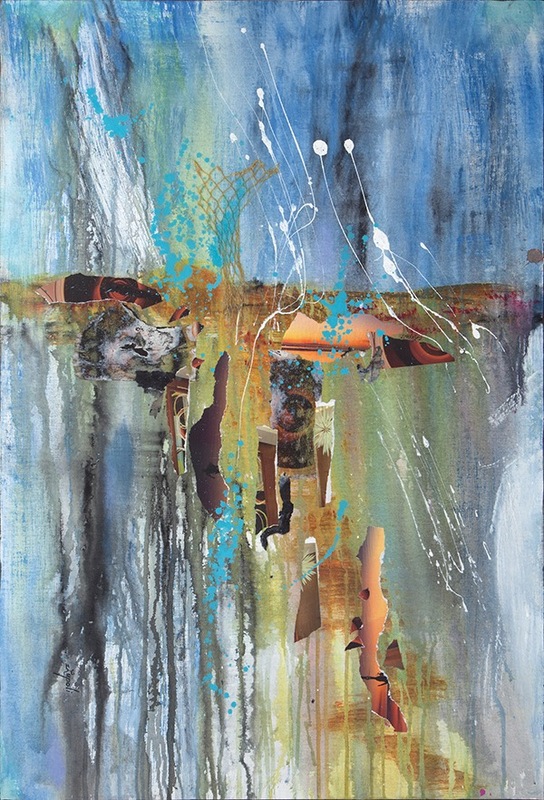 Lupoli is an experimental mixed media artist who retired from her career in elementary education and relocated to the Daytona Beach area in 2002 after living in 10 states. 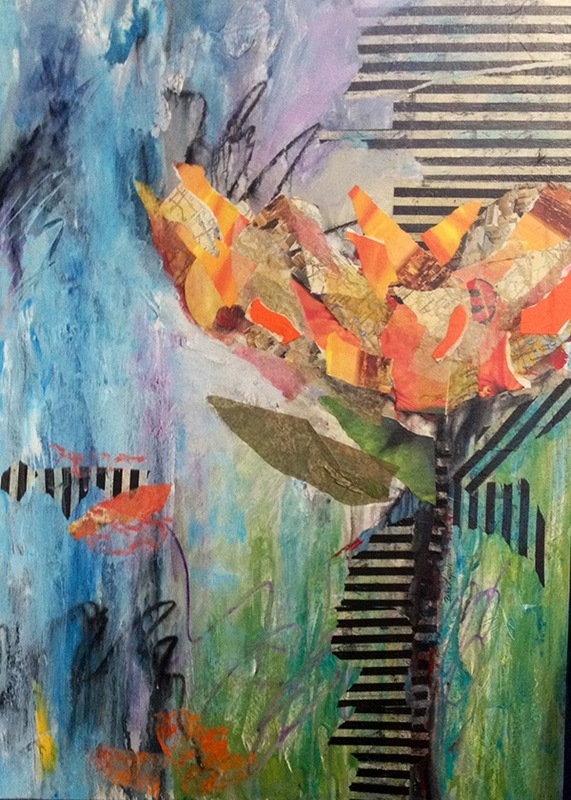 She specializes in collage with rich texture and a vivid color palette. 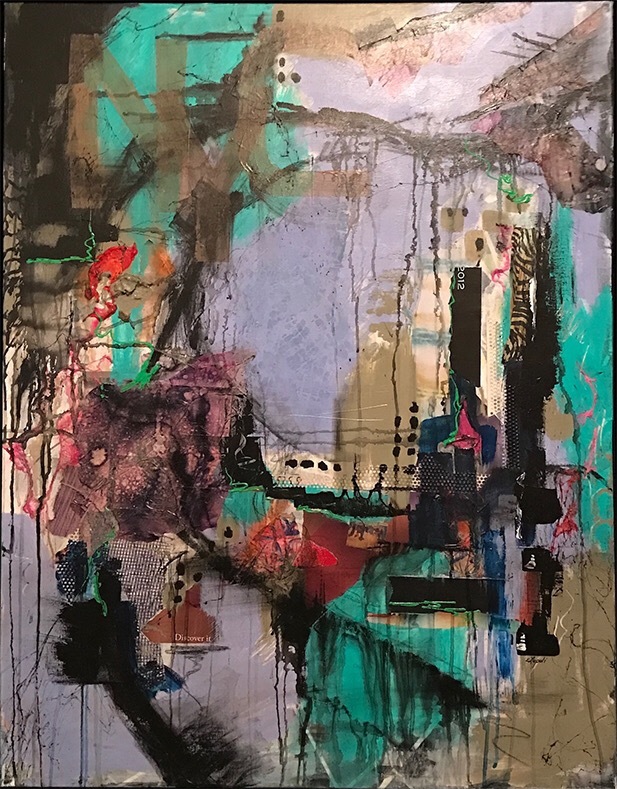 She has since concentrated on creating big, bold energetic pieces that draw the viewer inside and make them feel and seek something new or hidden within themselves. She paints intuitively and finds recycling various papers and tidbits of life onto her pieces is especially gratifying. On Saturday, July 8, Babz will be holding a second Saturday artist’s talk about her journey and methods. This should be a nice chance for a more intimate time with her. Come, learn about her process and driving forces. The Dog Days of Summer in EGAD will find Fifth Avenue Art Gallery hosting an invitational exhibit titled “Best in Show.” All art will be about dogs, one of our favorite subjects. This exhibit will be aimed at a portion of all sales going to the Central Brevard Humane Society. All work will be 8×10″ if 2D, or no larger than 12x12x36″ if 3D. We will be offering doggie portraits on our front porch during the First Friday celebration on August 4, from 5:30 pm through 8:30 pm. These will be available as digital photo portraits (background by Lori Jenkins), shot and edited by Barbara Desrosiers, or as quick watercolor sketches by Jini James. 100% Pure Florida hangs each year during the month of September. “Pure Florida” refers to the artists’ residence. Subject matter is unlimited. The art process, for me, involves exploration of my personal history and what the future may bring. I like creating art that is unpredictable and inviting—art that allows the viewer to use their imagination. I’ve always loved to draw, and at 38 years old I took a drawing class prompted by my sister, and it changed my life by transforming the way I see and connect with the world, both physically and spiritually. My current work is mixed-media using acrylic paint, paper, found objects, textiles and beeswax. I also love challenges, and combining different materials allows for lots of creative problem solving. I am excited every single day I’m in my studio, and more inspired lately than I’ve been in years. My dad was a dreamer. He forever had plans and projects. He was hard-working from a young age, having grown up in Appalachia during the depression. A man of great fortitude. I loved being a part of his dreams. He was always a vegetable gardener like his mother before him. If he wasn’t planting or harvesting, he was making a list of the seeds he wanted to order for next season. I still remember the last order we made together. When he died at 94 and 3/4 and his home and property were sold, I realized how special those times in the garden together had been. I had an overwhelming desire to find my “garden” in this world. After an extensive search, and numerous circumstances that were blessings in disguise, my husband and I found 3 acres of property and we are going to have a farm of sorts. I’m looking forward to spending time with my dad and grandmother in my garden. Dreams and Wishes, Birds and Fishes will showcase the artwork that has been inspired by all the blessings in my life and the big dreams that make each day exciting and full of possibilities. I wanted this collection to be dreamy and full of surprises, with love and hope and lots of fun 2D and 3D art that expresses the wonders that I encounter each day. Renee Decator is a mixed-media artist who lives in Indialantic, Florida, with her husband Jay and two wiener dogs, Sweet Pea and Beau. She attended Artquest School of Art & Design in Volusia County, Florida, before moving to Brevard County in 1995. She has been a member of Fifth Avenue Art Gallery for 10 years and has chaired many charitable exhibitions since joining the gallery. She works at her studio in downtown Melbourne, Florida. She loves tropical gardening, which is often an inspiration for her work. The First Friday Opening Reception will be on December 1, from 5:30 pm through 8:30 pm. Many of the participating artisans will be in attendance affording you an opportunity to chat with them about their work. Come to Eau Gallie and kick off the holiday season with us.